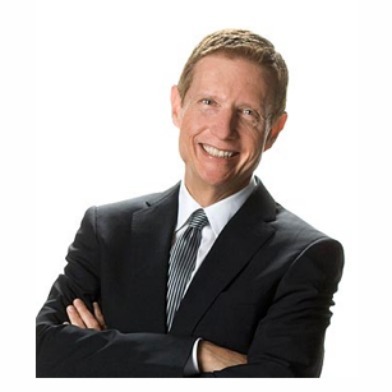 John Buchanan Jr., executive director for the de Young and Legion of Honor museums passed away in December, and I feel saddened by the news even though he was not a close friend of mine. John died on December 30, 2011, after a battle with cancer. He was 58 years old. For those who appreciate the way the de Young has transformed into one of the best, most accessible museums in the world, must know that John led this transformation. The de Young Museum reopened in 2006. 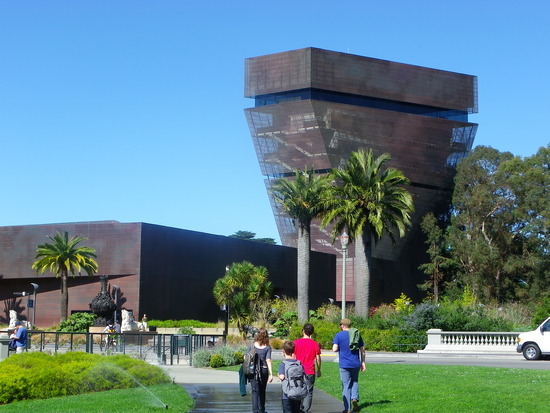 In my opinion, John converted San Francisco’s de Young into a leading fine arts museum both, in terms of their wonderful art exhibits and in the highly effective way they are reaching out to all communities, making the de Young a leading fine arts institution. 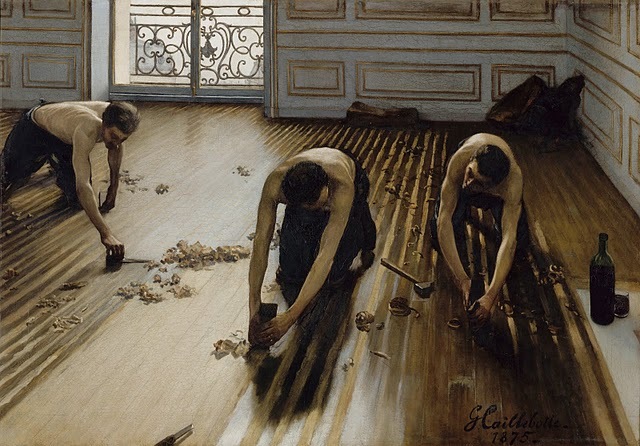 Fine art, and the arts in general, must be independent to status or class, for art heals and expands the heart of anybody. Fine arts museums can be welcoming and absolutely fun for people of all ages, cultures, and socioeconomic backgrounds. 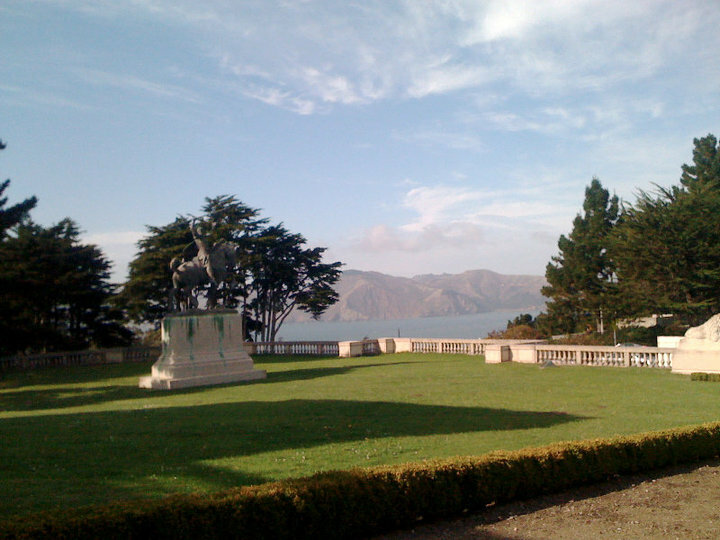 A view from the Legion of Honor. I met John in August 2006 while working for one of the members of the San Francisco Board of Supervisors, Gerardo Sandoval. At the time, and among many other goals, the De Young was trying to convince all districts to have “Free Days” at the De Young, by District. When he came to our office I did not know who he was –nor he really said it, but I was immediately impressed by his passion and kindness. We worked on a Free Day for the Excelsior and surrounding neighborhoods, and it was a success. I probably met with him in person two or three times in total, and had a couple of telephone conversations, but that was enough for me to have a lasting impression of him. Since then, and no longer working at City Hall, I would email John once in a while, sometimes asking about a particular project, or even asking to use his name as reference. He always answered my emails, was supportive of my inquiries, and had kind words of appreciation. Like many other residents of San Francisco, I have been excited about wonderful art exhibits like “French Impressionists,” or the “Olmec” exhibits, and by other events such as “Friday Nights.” John was the heart, mind, and soul of it. Rest in Peace. Descanse en Paz. Here is this man on his late 40s, taking care of his health. No place for excuses. 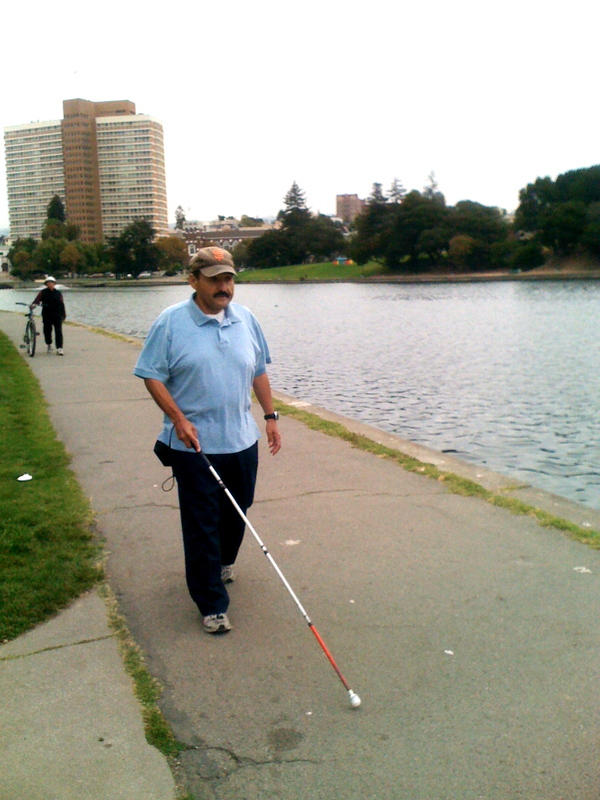 Epie walks around Lake Merritt, religiously, every morning around 7 am. He has lost some of his vision; he uses a walking stick. He has some type of diabetes. Yet, seven days a week he is walking by the lake, shine or rain, light or dark, summer or winter. By walking one hour every single day, and by choosing healthy eating versus junk, Epie has lost weight and keeps the extra pounds off, and manages sugar and stress levels. Some passers-by may just see a person with a walking stick, and some say hello unintentionally condescending. He does not like that. On the other hand, his commitment to health inspires some Lake Merritt aficionados like myself. When I say hello or ¡Buenos Dias Epie! while crossing paths, I get this great, positive energy from him: I too, can do this!